Kalandra Jane - Millinery and Musings! : New Tattoo! A few weeks ago I travelled to Birmingham on a sweaty coach to pay a visit to award-winning tattoo studio Modern Body Art and to my good friend, the gorgeous and talented Rachel Jamie Baldwin. There I spent about five hours under the needle, getting inked with this amazing pirate lobster! I've been slow to heal with this one as I've been run ragged over the past month and not looking after myself as well as I should have been, but despite a tiny bit of dryness Captain Squeezy is now fully healed and looking amazing, I love him! I allowed Rachel free reign over the design, having known her so long and always adored her work. It was drawn to match the colours and nautical theme of the Octopus Tattoo she did on me while she was an apprentice in Manchester. By the way, that weird pink triangle was a blister I got from stupidly wearing new shoes a couple of days before I was due to be tattooed, thankfully it's now completely disappeared. Tragically, Rachel lost her mum to cancer a few months ago, and ever since she has been working tirelessly to raise funds for Cancer Research UK. 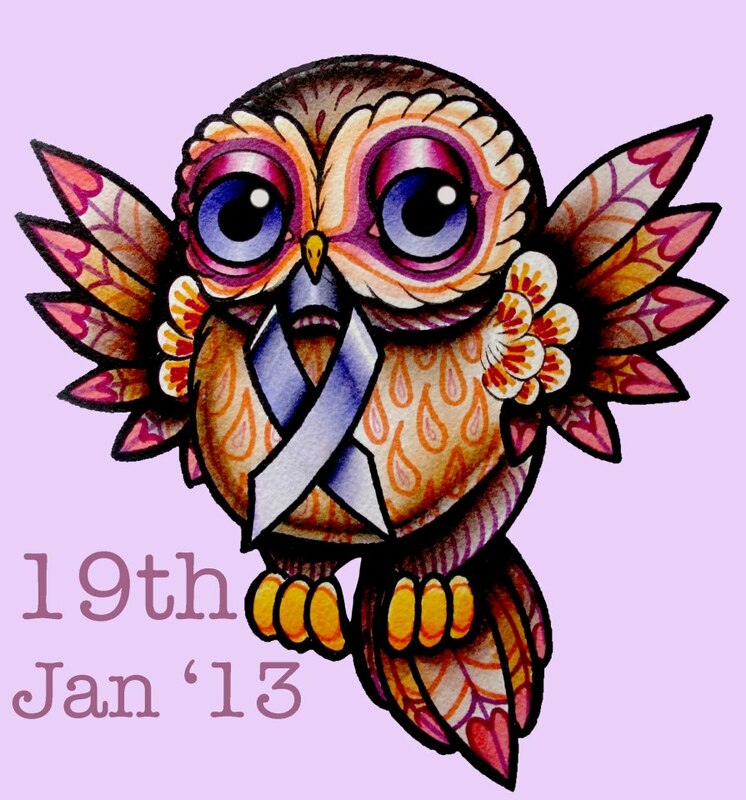 She's holding a tattooing for charity event on the 19th January, with some absolutely top-notch artists taking part, so if you are in the Birmingham area or fancy travelling to support a good cause and have an amazing piece of high-quality tattoo work done, please check out the facebook event. 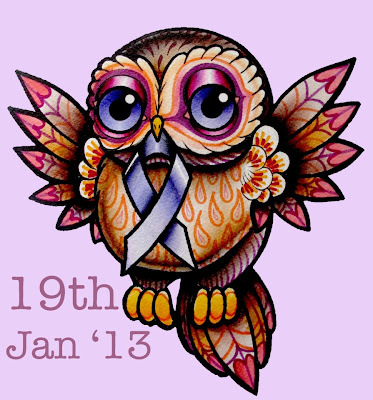 You can see more of Rachel's beautiful tattoos on her facebook page and tumblr, you can also buy gorgeous limited edition prints of her paintings in her etsy shop.